Zygor Guides ESO Leveling Guide (Updated for Murkmire DLC) is NOW available! Thread: Zygor Guides ESO Leveling Guide (Updated for Murkmire DLC) is NOW available! Please install through through the excellent add-on manager Minion. Important: You cannot run Zygor's official guide and my guide together. It is imperative that you disable Zygor's official guide from the Addon menu. If you run both, ESO becomes unstable. Don't worry though. This guide has everything Zygor's has and more! Props to the Zygor devs for making an great product in the first place. Last edited by alterego9268; October 22nd, 2018 at 04:26 AM. Hello, everyone! I've updated the Addon. You should see overall performance improvements especially related to the map. Please use Minion to update. - Removed destructive Zygor code that caused map pins for discovered POIs to disappear. - Added logic to auto-load a guide for first-time users based on their character's current zone. - Moved Guide's default starting position above the chat window. - Set default value for Auto Hide on Inventory to false. - Changed the name of the Morrowind guide to Vvardenfell. Please use Minion to update. Last edited by alterego9268; January 5th, 2019 at 11:30 PM. Thank you so much for this I was directed here by support when i saw the guides were not working! Thank you so much for making these. Please don't stop! 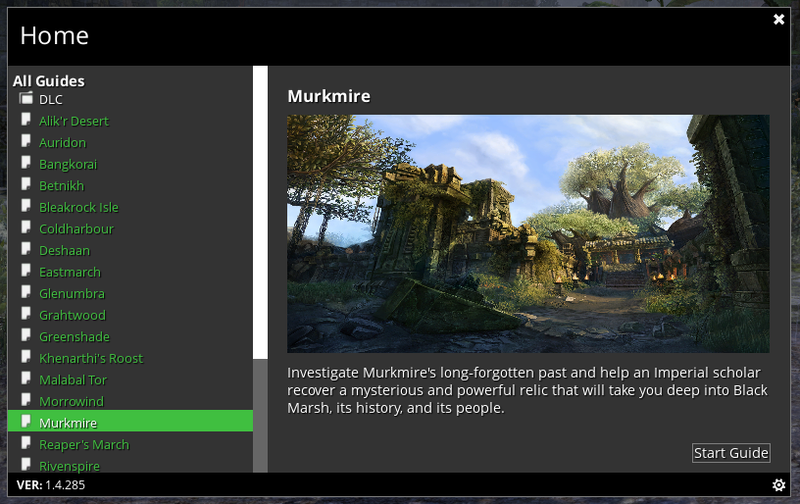 I pay for Zygor Elite, but would be happy to donate to you specifically to keep these guides coming, especially with Elsweyr on the horizon. Let me know! So, do I use this mod in instead of the one that I could download through the Zygor Java updater? 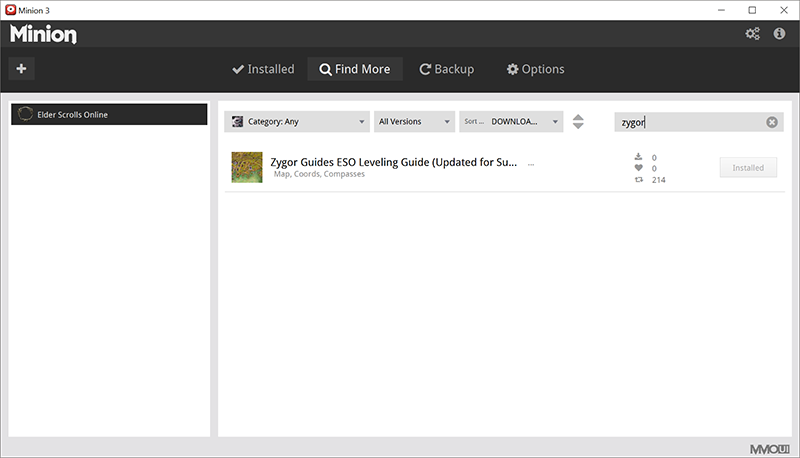 (The updated to a new Zygor client (not Java now) - and you can no longer download a Elder Scrolls Online guide. This version has been updated more recently than the one you had been able to get thru the old client for quite a while. It's been a good year since we had updated the ESO guides so what alterego has done is more recent.